Let’s face it: there’s no easy way to make skiing truly cheap. Gear, lift tickets, lodging, food, it all costs money. If you want to pass the sport on to the next generation, multiply every expense by the number of children in your family. Thankfully, there are ways to limit the damage. Before you throw up your hands, take advantage of Mount Peter’s offer of a free lesson and rental to first time skiers. If you don’t live downstate, look into the mountains near you. There are ways for kids to try the sport without spending a dime. Assuming they like it, there’s no reason to buy brand new skis for a third grader. 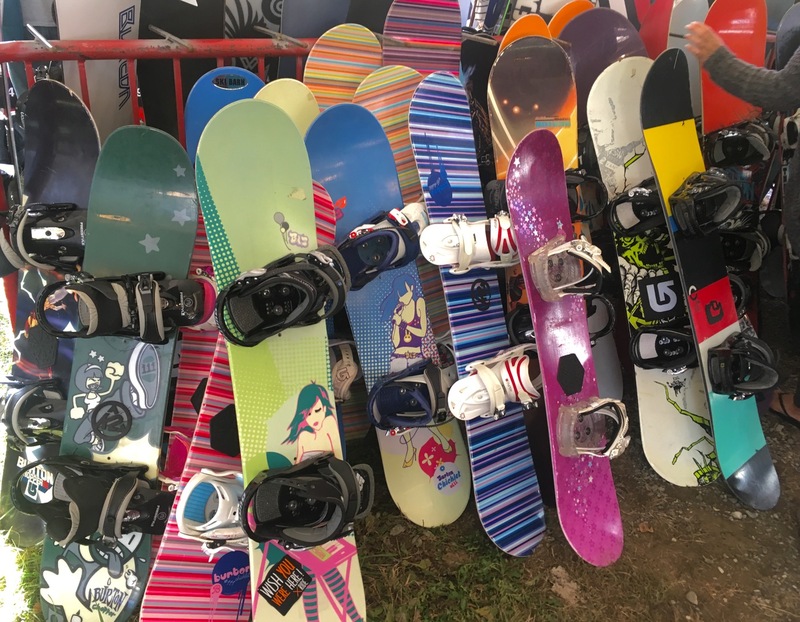 Look into used gear at a ski swap or tent sale. It will take a little research and planning, but it will pay off in the end. For the last several years our family has attended the swap and sale at Mount Peter. The savings can be dramatic.